Safe Ride is operating under normal conditions. The Safe Ride Home program is a safe and timely transportation service within the city limits of Maryville, MO, offered by students, for students at Northwest Missouri State University. 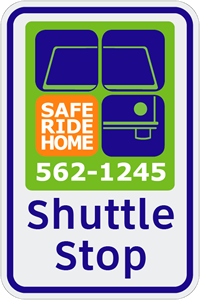 Safe Ride Home provides a shuttle system so students can travel to various retail stores in Maryville throughout the week. We also offer a taxi service for late night transportation when students are in situations they feel are unsafe. The Safe Ride program provides an important link between the University and City Community. It provides a means for students to engage in off-campus venues, shopping and eating destinations while saving them gas and wear on their vehicles. It also benefits the Maryville community by providing a bridge for students to engage in opportunities that the City community provides. 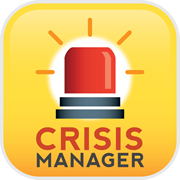 Tuesday 4 p.m. - 8 p.m. Tuesday 10 p.m. - 2 a.m.
Wednesday 4 p.m. - 8 p.m. Wednesday 10 p.m. - 2 a.m.
Thursday 4 p.m. - 8 p.m. Thursday 10 p.m. - 2 a.m.
Friday not available Friday 10 p.m. - 3 a.m.
Saturday not available Saturday 10 p.m. - 3 a.m.
Make sure to have your Bearcat ID on you at the time of your ride. When using the service, your ID will be scanned into the computer logbook via a card reader. Safe Ride Shuttle will drive two continuous routes (see below) throughout the campus and city communities with stops placed in the areas of highest usage for pick up and drop off requests. This will be similar to the way a city bus operates. Shuttle drivers will not wait at the stops. The Safe Ride program is sponsored by NorthwestCell. Choose "Northwest Missouri State University"
The Safe Ride program is a student-run program with peers serving peers. Please be mindful of others and courteous while using the program. Be on time at your pick up destination so that we can keep wait times to a minimum. The shuttle will not be waiting for students at stops. The students must wait for the shuttle at set times. The times and stops are listed above. 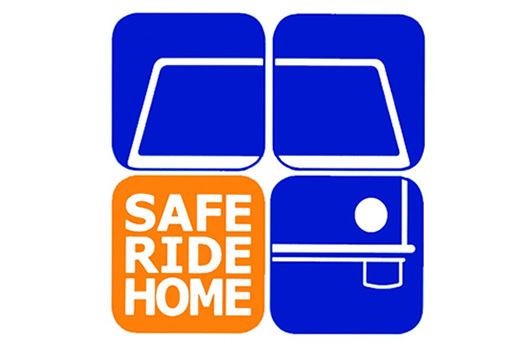 We welcome your feedback about the Safe Ride Home program and would like to hear from you! Please email comments to University Police at police@nwmissouri.edu.